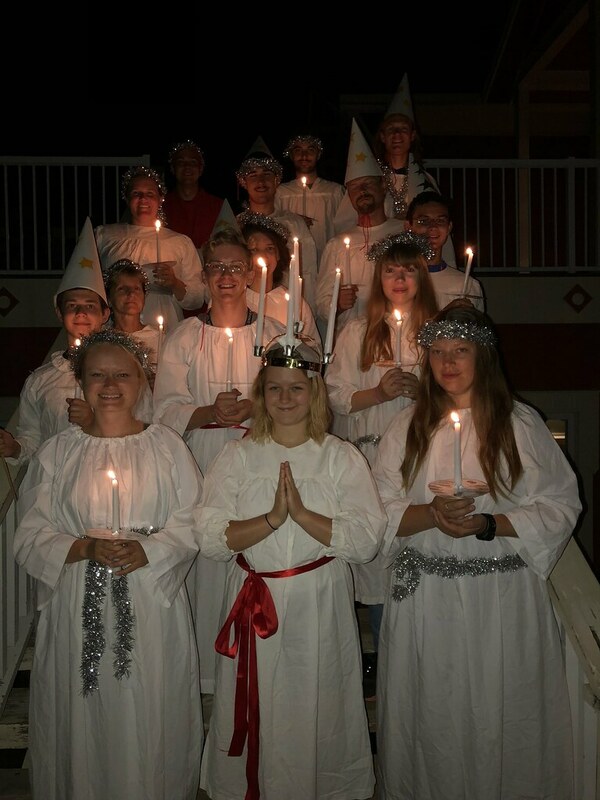 At Sjölunden on Wednesday we celebrated Sankta Lucia and Jul (Saint Lucia and Christmas)!!! One thing that we do every year at Sjölunden is try to include the holidays that are very important to Swedish culture. Twice a summer we have the pleasure to celebrate Christmas! 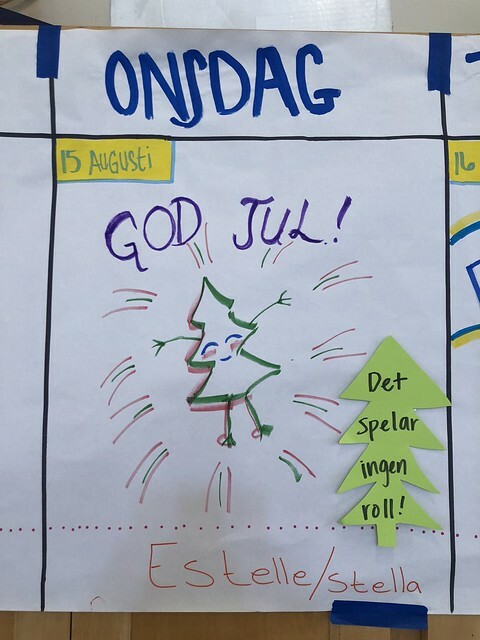 It might seem weird to sing Christmas songs in the middle of July or August, but we promise that it’s a ton of fun and who ever says “nej” to a full Christmas buffet :D Before the morning though, the counselors put on a luciatåg, which traditionally happens on December 13th in many Nordic countries. For a luciatåg someone dresses up as Lucia, who was a Christian martyr in the 3rd century, while other dress up in all white and sing songs in a procession about neighborhoods. 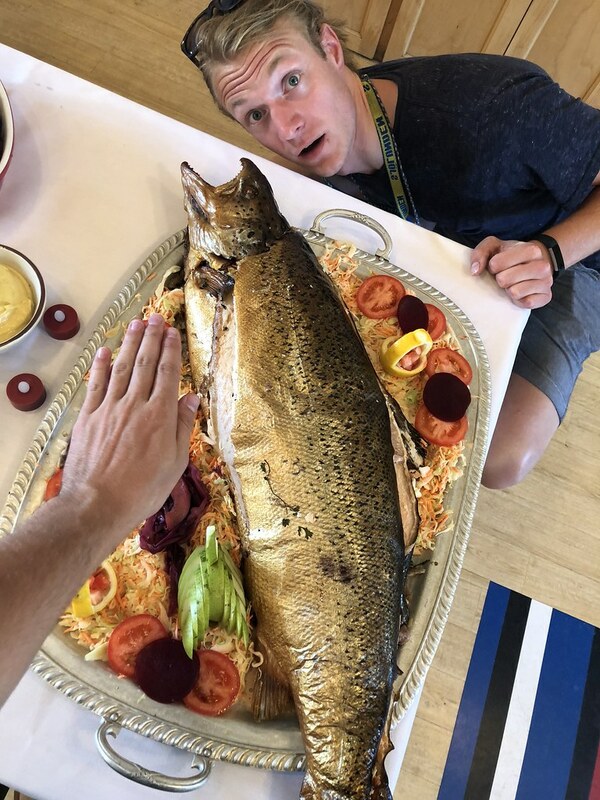 In the evening we had a wonderful Christmas buffet which was topped off by an amazing salmon! After a great dinner we had an evening program based around Christmas, which included pin the tail on the reindeer and making Christmas cards!